Vail’s Thomas Walsh, who just turned 24, closed out an epic 2019 World Para Alpine Skiing Championships in Kranjska Gora, Slovenia, and Sella Nevea, Italy, winning his second bronze medal of the Games. COLORADO SPRINGS, Colo. – Team USA closed the 2019 World Para Alpine Skiing Championships on a high note, winning two medals on the final day of competition on Thursday. Paralympians Thomas Walsh (Vail, Colorado) and Laurie Stephens (Wenham, Massachusetts) each captured bronze as the U.S. team finished with three total medals in Kranjska Gora, Slovenia and Sella Nevea, Italy. With the best championship performance of his career, Walsh won bronze in the men’s super combined standing to collect his second world championship medal of the competition. The 24-year-old, who celebrated his birthday this week, successfully rounded out the event after winning bronze on the opening day in giant slalom. Stephens was able to pick up her first medal of the competition, and eighth career world championship podium, with a strong run in the women’s super-G sitting to earn bronze. The four-time Paralympian nearly placed herself on the podium again, taking fourth in the super-combined. The super combined races were originally scheduled for tomorrow (Friday) but were moved due to anticipated weather. The super-G portion of today’s race counted as an individual event as well as a part of the super combined, with athletes contesting for medals in both events. Six U.S. athletes had top-10 finishes in speed events this week: Anna Beninati (Park City, Utah) in women’s sitting, Kevin Burton (Denver, Colorado) and guide Kurt Grimmelmann (West Milford, New Jersey) in men’s visually impaired, Stephens in women’s sitting, Walsh in men’s standing, and Spencer Wood (Pittsfield, Vermont) in men’s standing. Full results from 2019 World Para Alpine Skiing Championships can be found in the Team USA Medal Tracker as well as the IPC website. The U.S. will return to the world cup circuit in Veysonnaz, Switzerland from Feb. 6-10 with super-G and giant slalom races. 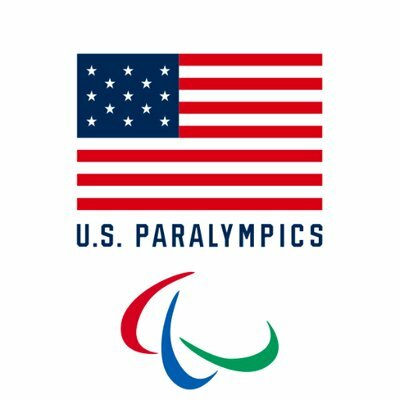 For event and behind-the-scenes coverage, follow U.S. Paralympics Alpine Skiing on Facebook,Twitter and Instagram.